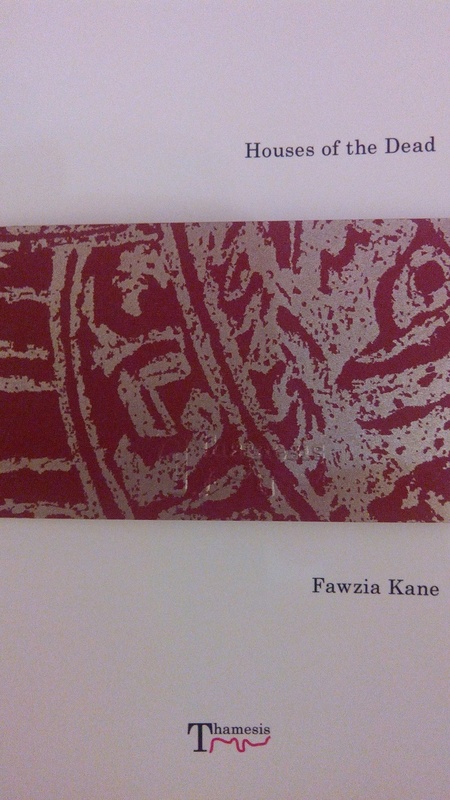 Fawzia Kane’s Houses of the Dead is a beautifully presented, sublimely superficial book. Obsessed with surfaces, lovingly designed, and decorated with photographs of artistically-decayed urban spaces, this collection never allows the reader to penetrate beyond the level accessible to the naked eye. The poems are interestingly titled; the reader is promised encounters with verses such as ‘House of the Vicar who Loved Too Much’ or ‘House of the Woman who can taste The History of Words’ but these tantalizing titles are largely let down by text that is as thin and uninteresting as a sheet of damp-damaged drywall. She wants to present a house that has rotted into a character, and in a sense, that is what she has done, but it is a character that is shared by every house that appears in this collection. The decay that she describes is universal. The walls crumble, the damp spreads, and we are left with little detail of the ghostly inhabitants beyond their quick-sketched titles. This is a pity, because those titles indicate that Kane can write. Those first three lines might well be describing the nature of this book. Here, surfaces matter, decay matters – but only when it is abstract, and therefore safe enough to be rendered conventionally beautiful; there is no unappealing, natural rot. There is nothing human, no signs of life, or former life, beyond a few odd snags, a few scoured marks. Perhaps this was intentional. If so, my dislike of the finished book is philosophical in nature, but I suspect that this is not the case. I suspect that the author was aiming for realism, and badly missed her mark. The architecture is meant to reflect the character of the inhabitant, and she tells us what was done to the house, but she does so in such a way as to promote a sense of confusion without revealing any real detail, or allowing any real intimacy with the character she’s describing. It is much easier to praise the beautifully-designed cover of this book (white with a narrow, textured teal jacket – printed with a stylized arc representing a gilt branch – that runs around the cover like a belt) and the carefully-crafted, creamy, hand-sewn pages than it is to validate the words written inside of it. The poems are interspersed with black and white photographs of crumbling doorways, leaf-strewn attic rooms, and flaking shop signs reminiscent of artistic tourist photos or a brooding university final-project. Houses of the Dead is lovely, at a distance. A close reading reveals that whatever depth it has is trompe l'oeil.